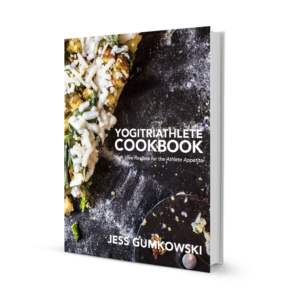 View cart “YogiTriathlete Cookbook – High Vibe Recipes for Athlete Appetite” has been added to your cart. Signed copies are now available for a limited time. 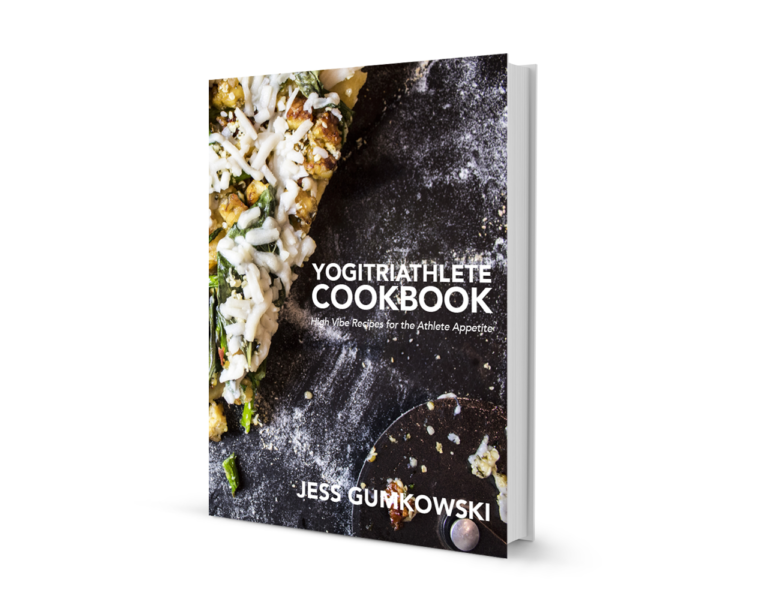 Born out of the kitchen of two busy endurance athletes, the YogiTriathlete Cookbook will not leave you hungry, unsatisfied or broke. The repetition of ingredients used, also found on the book’s Plant-Based Basics shopping list, avoid having to buy that one unique spice that sits on your shelf until moving day. Complete with four chapters of guidance in relation to transitioning to a plant-based diet and mindful eating, every reader is assisted in reaching a higher level of knowledge and ability to thrive. Although written and created by athletes, the recipes in this book are for anyone looking to take their health and taste buds to the next level without breaking the bank. International orders? No problem. Contact us with your wish list and address. We’ll get back to you with shipping costs to your area. From easy meals to have on the run like the Chunky Monkey Morning Toast to the power-packed Iron Maiden entree and the mind-blowing Coconut Banana Bread with Cacao Hazelnut Frosting these recipes hit upon every need a plant-based human and athlete could desire. There is even a recipe for the aspiring plant-based pooches of the world. Jess and her husband BJ are minimalists and these recipes were created in a tiny kitchen with one saute pan, one saucepan, one knife and one high powered blender. Jess demystifies healthy, plant-based living in this 34-recipe, four chapter guide to high performance in sport and life. Jess Gumkowski is Co-Founder of YogiTriathlete, a holistic performance coaching company based in Southern California. She is a Vegan Lifestyle Coach and Educator, yoga instructor, endurance athlete and podcast host of the popular YogiTriathlete podcast. She has been featured in Triathlete Magazine, Men’s Health, Elephant Journal, Massage Magazine, and TriZone for her expertise in holistic health and nutrition. Jess became a triathlete in September 2005, a year after saying that she would “never, ever do a triathlon…ever”. Since finishing her first sprint tri in Fort Collins, CO she has gone on to complete in countless races including multiple Ironmans, half Ironmans, Olympics, Sprints, Marathons, Half Marathons, 10ks, 5ks and most recently, ultra marathons. Jess is a connoisseur of health and is always looking to up her game in sport and life. She grew up in a household with a mom who rarely used recipes and worked full-time yet always seemed to be able to get dinner on the table at the same time every night. Not long into her independent years, Jess found herself with those same libertarian ways when it came to cooking and has always been able to produce a well-balanced meal without stress. As a seasoned endurance athlete, she knows how important fueling the body is to successfully complete her training, getting to the starting line healthy and powering her recovery. Above all else, Jess believes that performance starts with what we put into our bodies and the best kinds of meals are simple, whole-food combinations that are for the good of all: the planet, the animals, and the athletes.